Experience the therapeutic benefits of Erbaviva Awaken Bath Salts; premium grade, pure sea salt infused with essential oils of Melissa, Lemongrass and Rose to rejuvenate and revitalise. Delivering a spa-like ritual in the comfort of your own home, the detoxifying salts can be added to warm bath water or blended with bath oil to create a freshly made scrub that will soothe and restore the body after a long, tiring day. Enjoy an invigorating soak and energise your mind and body. 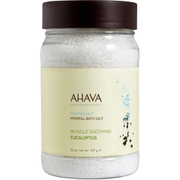 Add 1/4 of a cup of bath salts after filling the bath tub, mix well and soak in the benefits of true aromatherapy. 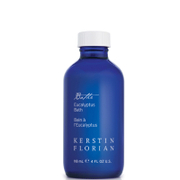 For a fresh exfoliating scrub, mix a small amount of Bath Salts and Bath Oil together and rub onto the skin. Sea Salt, *Helianthus Annuus (Sunflower) Seed Oil, *Rosemarinus Officinalis (Rosemary) Leaf Extract, Tocopherol, *Citrus Nobilis (Mandarin Orange) Peel Oil, *Citrus Aurantium Dulcis (Orange) Peel Oil, *Lavandula Angustifolia (Lavender) Oil, *Citrus Aurantium Bergamia (Bergamot) Fruit Oil, *Cymbopogon Schoenanthus Oil, *Pelargonium Graveolens Oil, *Anthemis Nobilis Flower Oil, *Zingiber Officinale (Ginger) Root Oil, *Melissa Officinalis Leaf Oil, Rosa Damascena Oil.